Meeting you seemed nothing more than just a passing phase to me. But as the colors slowly drain from the leaves under our feet and rain turns into snow, I find myself drawn to you. So then why, as we get closer… As we fall in love… Do your eyes tell such a sad tale? On that fateful night, little did you know that a simple wish and a careless “yes” would turn your entire world upside down. You’re the character and life is the player. As time slowly ticks down to the pivotal choice you’ll have to make, will you be able to survive the in-betweens? And can you say goodbye to the ones who matter most? From Lunaniere, a brand new subsidiary of Afterthought Studios, comes a 40-hour long epic of a girl from modern Tokyo who has slipped back in time and right into the end of an era, just in time to witness the fall of the Tokugawa Shogunate and the war that followed in its wake. With lives, her survival, and her heart at stake, will this 21st-century city girl ever find a way back? Experience romance and intrigue in the time of the legendary Boshin War through Lunaniere’s immersive writing, artwork, and soundtrack! 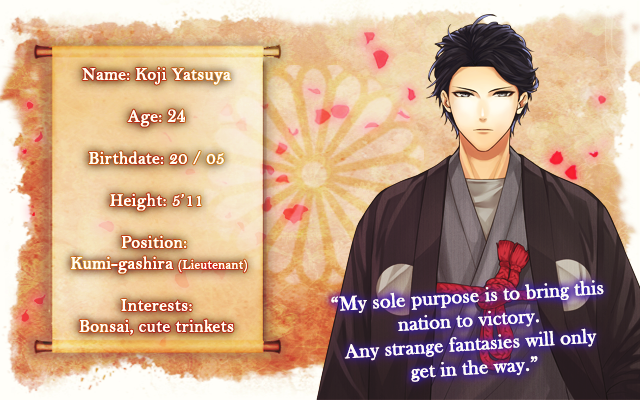 As well as naming your character, you'll have three different sprites to choose from! 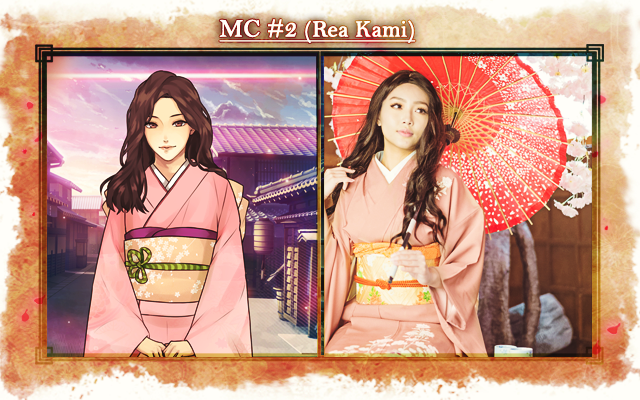 Two of the possible MC designs are modeled after the likeness of real life cosplayers, Rea Kami and Etsuko. 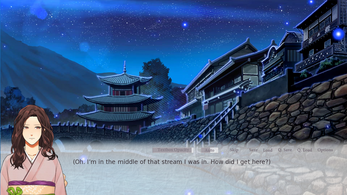 Bringing the world of Wishes in Pen to life for you with memorable characters, plot, and designs is our primary goal - so we decided to take it one step further with animated sprites and background art! We promised you a visual novel and we intend to deliver, in every sense of the genre! The little touches to a visual novel are what really lend it a personalized appeal. Knowing this, we have taken the effort to animate all of our background art. Watch the video below— a playlist consisting of three different backgrounds— and see for yourself! Of course, it's only fitting that a story set in such a culturally rich period of Japanese history would have the music to reflect it. 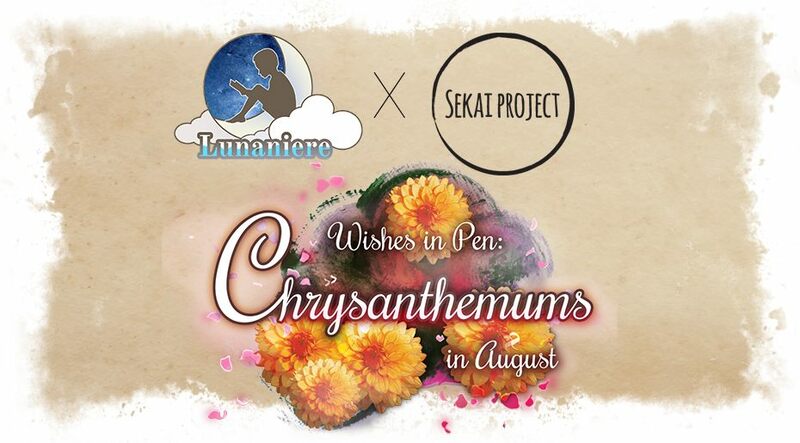 The soundrack of Wishes in Pen: Chrysanthemums in August is composed by THEM3 Studios, which also worked on the critically acclaimed When Our Journey Ends. This game looks fantastic! Congrats on getting funded! Do you have an estimate of when the full game will be released? Is there a date set for it already? Hi, I wanted to ask... when will the game complete? Ahh, also... could you tell me who said this line to whom? "So then why, as we get closer… As we fall in love… Do your eyes tell such a sad tale?" Sadly, this is indeed a paid game! :( This demo is our proof of concept for the Kickstarter campaign! it is okay, if i made a credit card i'll be sure to buy this game, thank you for replying and good luck! You can go to Walmart and get a prepaid credit card, it works like a gift card. Also debit cards work as well. I really like the concept and would love to play it. I am wondering though if there will be a option to turn off all the animation? 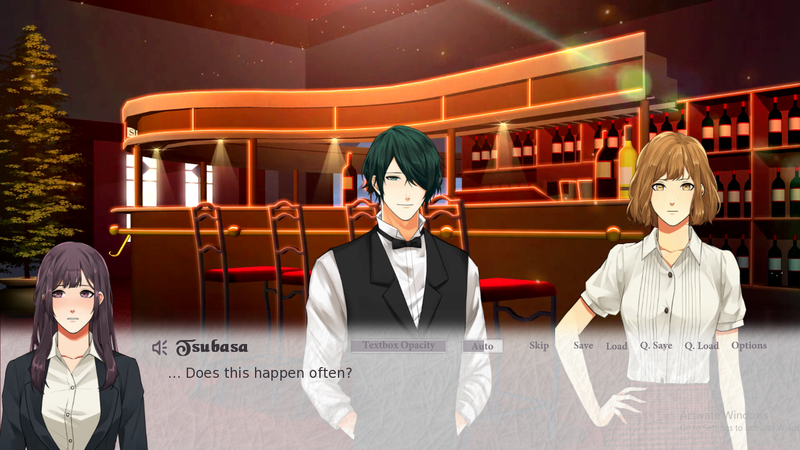 I know in the demo you can turn off the background and the MC sprite. But the animation of other characters is actually making it really hard to just play the demo. I think it's a great thing to put in the animation for players. But I also hope there will be an option to turn it off for players who might not have the best computer or laptop to run the game on. The scene at the bar is literally the greatest scene that I have had the pleasure of acting out. Thank you guys so much for including it! I could not stop laughing. I also want to applaud the art style and characters. Everything is so beautiful! I can't wait to finish the demo! Hi everyone , I am liking the story so far. However is there a way to save the game? Cause I had to restart everything previously. Thank you! Sorry to hear that you had to restart everything, though! To save your game, click the 'Save' button between the 'Skip' and 'Load' buttons while playing. 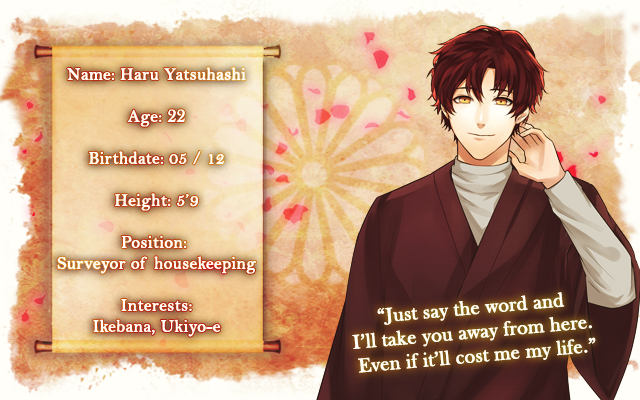 When you click an empty slot/save file, you'll still be prompted with 'Are you sure you want to override?' on the bottom left part of the screen. Click 'yes,' and there you have it! I'm liking the story so far a lot! The fact that the backgrounds and sprites are actually animated made me want to play this game and I haven't been disappointed at all! Good job and I can't wait to finish the demo! I played the demo for the Android and while it looks amazing, it didn't run smoothly (with and without the animated sprites/bgs turned on). 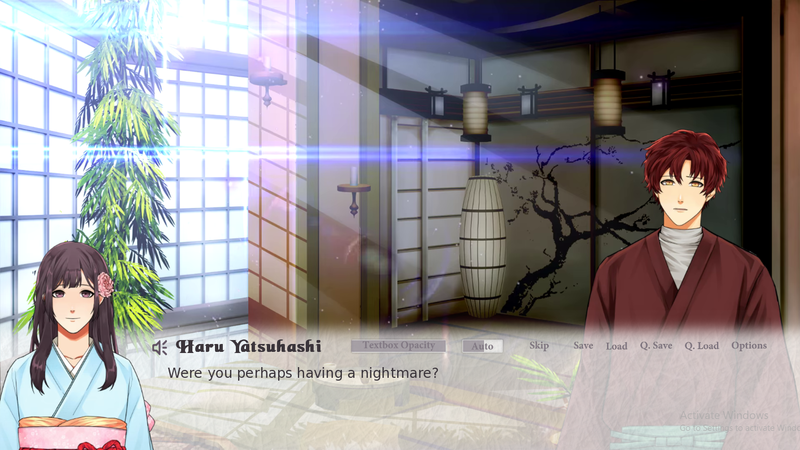 With the animated sprites/bgs turned on, the animations were choppy and felt like watching a gif in 8fps ;_; The animated bgs were smoother than the sprites though! If they are not turned on, the game is still choppy (like when you open the save menu, or a Sprite making a sliding transition on/off the screen). To be fair, I am a fast reader and I was zooming through the game which made the slow animations even more noticeable (or maybe contributed to the cause??). While playing the game, I noticed that the choices you make do not have a background button. 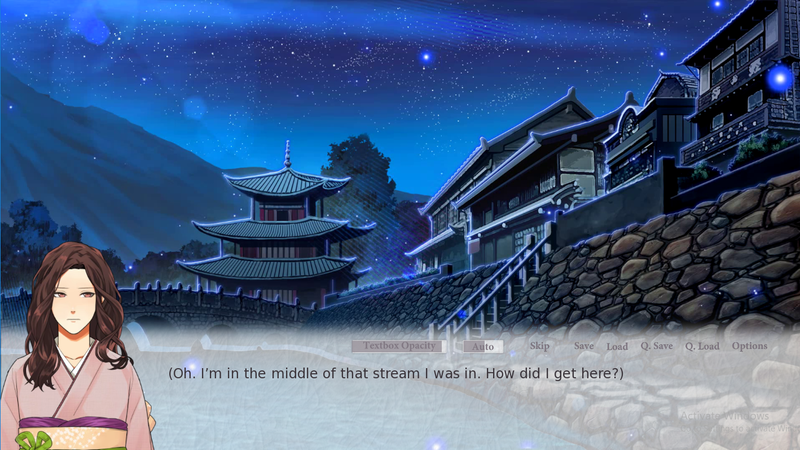 So, it looks like plain text across the screen which is really hard to read against the bg/sprites. But, I could still select the choices and continue with the game. 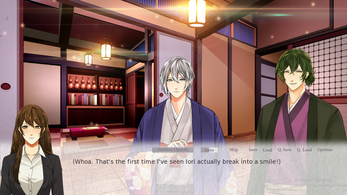 °if the name is long it will be hidden by the 'Textbox Opacity' button; my mc name was short but this happened with Mitsuki's name. °this is totally my opinion, but I am bummed that the animated sprites of the mcs kinda lose that charm of the cg art we see above. 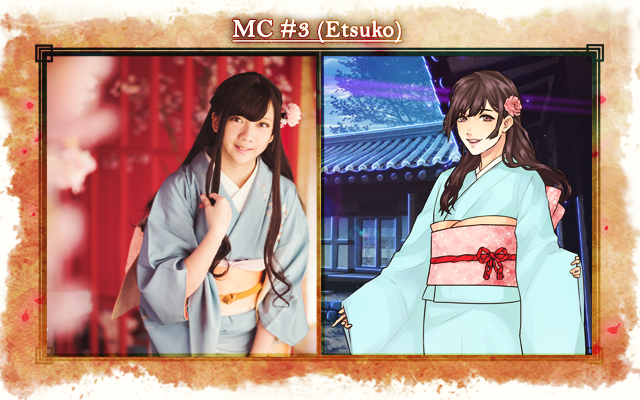 I know it's dumb and finicky, but I think the animated MCs kinda have same face syndrome?? Anyways, I'm so stoked about this project and encourage everyone to support it! Thank you for your feedback! I think although the fast reading part contributed a little, we will still strive to reduce the amount of power needed to run this game. Therefore, we'll look into a new solution once the NVIDIA fix on our end is ready with the new version of Ren'Py! 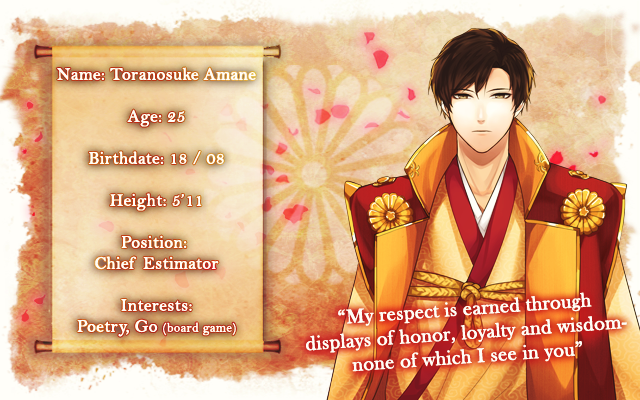 My only reservation concerning this game stems from the choices - of which there is a limited range. 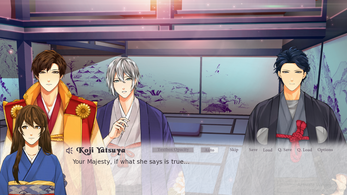 Moreover, they don't appear often enough in the game, which makes the heroine appear a little rigid and makes it difficult for the player to establish a unique personality in her. The soundtrack, art and graphics were exquisite. I'm already hooked on the plot. 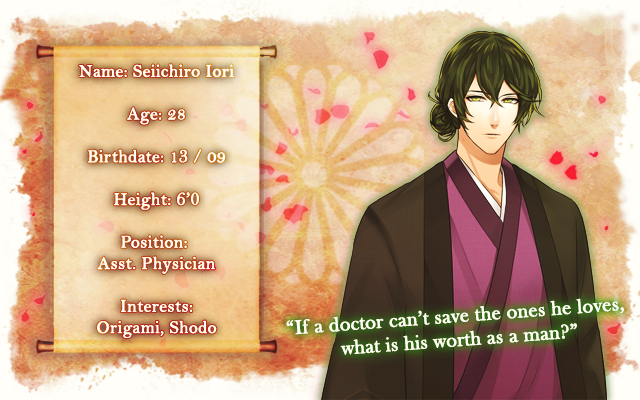 The potential love interests are excellent because they don't cater to the typical character archetypes found in most otome games. The animations must have taken a lot of effort but they definitely enhanced the beauty of this game. In addition, the level of historical detail and knowledge makes the game extremely immersive. I'm really anticipating the release of the full game! Keep up the hard work! 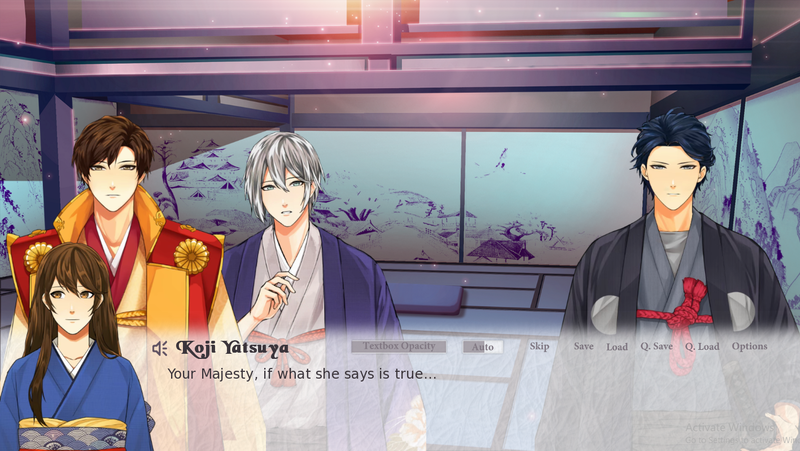 The demo is only 30,000 words - Please be rest assured the full version has a lot more options! Thanks for your praise, really keeps us going! Please share this project with your friends ! :) We're at 40% funded right now and we need everyone's help! The game has crashed on me over 5 times while playing it at different parts. But it looks gorgeous. Hi isawhat, do you mind giving me the specs of your PC? Apparently there may be issues with NVIDIA graphics memory leak that we'll fix with the new version of Ren'Py. If not, please try the newest build we have and turn off the animations and let me know if it works? I'll try to use the Intel graphics card instead of the NVIDIA and see if I can get past the point of meeting Toranosuke (where it continually crashes at). Hi, inky. c: Thank you so much for such a detailed review! Period piece games are wonderful. Just be careful with that katana! We hear you on the guys, too. It's hard to pick just one. 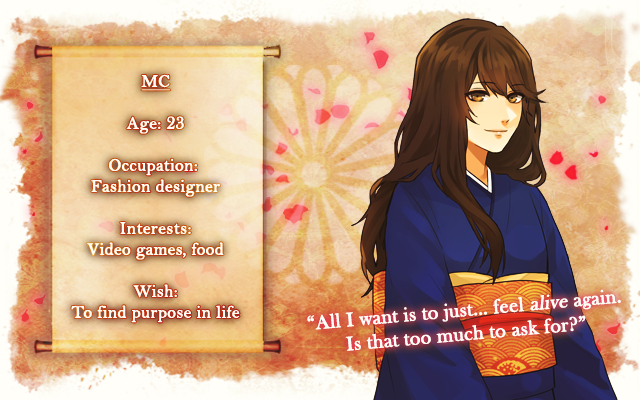 But don't knock on Historuoki - it's MC's favorite game! This game is already really story rich in the time I played it. Well thought out and, you can tell a lot of hours went into this love project. Can't wait to dive more into this Wishes in Pen has me hooked and, i'm sure if you are reading this and, haven't played it yet you will get hooked too if you give it a shot! Thank you so much for your support. We certainly poured our heart and soul into this project, and we're overjoyed to see that you liked it! The team is working to ensure the final product is even more fun to play through. c: We hope you share it with friends who might enjoy the Wishes in Pen experience, too! I've tried downloading the 3 Windows folders & the story has a problem loading when I'm telling the king about what I've seen in the future as a seer. (P.S Cool game so far). Hello, Lone Shadow! 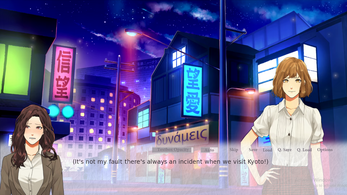 We are truly sorry you encountered some problems while playing our game. We have informed our programmer, and they're currently in the midst of fixing the issue. Hello there, limerence18! Terribly sorry for the late response. Please download the first link (Version 1.4.1) as that's the latest one! :) Thank you so much for your support and interest! Amazing game with a lot of potential. 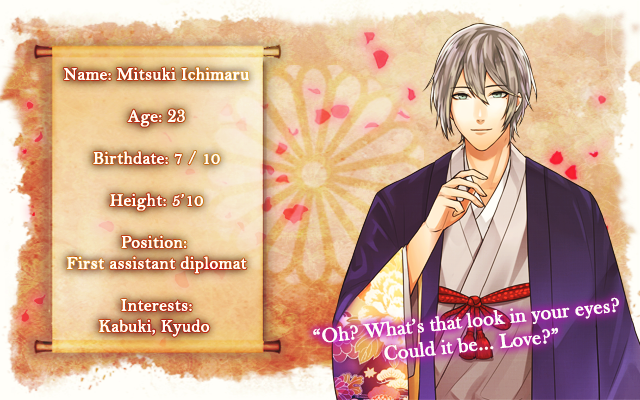 This game feels like a love letter to Hakuoki (in a great way). Good luck on Kickstarter!